Rediscovering The Truth After 2500 Years. A study, which was unusual in two ways, was published last week. It compared the use of a medication, to diet and exercise in preventing disease and it was conducted over 15 years. The trial showed that diet and exercise was more effective in preventing the onset of type two diabetes in those who were overweight and had elevated blood sugar, than using the medication metformin. The rate of development of diabetes was 27% lower in the lifestyle change group than in a control group. Had the medication been better you would far more likely have seen this in the mainstream media. “Pill reduces likelihood of diabetes” makes a better headline than regular exercise and reducing processed food reduces risk of diabetes. Since the 1950’s the percentage of average weekly earnings spent on food has declined sharply in western countries. The percentage spent on health (read disease) care has increased. This may not be entirely coincidental. Like a car, the human body needs the right fuels. Whilst more forgiving than a car the body will eventually also seize up if the wrong fuels are put into it. And the human body needs to be active. A new trial is underway in Boston looking at how eating the right foods can reduce illness. Community Servings, which delivers free meals to the sick, is partnering with Massachusetts General Hospital to provide “medically tailored” meals to those with diabetes. The aim is to prove the concept that food can be medicine. This is not a new concept. Hippocrates, the father of modern medicine said 2500 years ago’ “let food be thy medicine and medicine be thy food”. In our modern world we have become dazzled by medical technology. Yet the basic pillars of health lie in good food and being active have not changed. 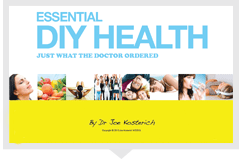 Sticking to the basics of health remains the simplest, least expensive and most effective way of staying healthy.